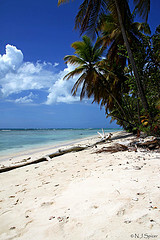 There are quite a few Tobago resorts and villas on the island. When you return from a full day of diving you may want to unwind by being pampered to get ready for move dives the following day. Some divers look forward to the peacefulness and and tranquility that resorts offer. Most resorts on the island are either right on a beachfront or a few minute walk from one. The most distinct reason that anyone decides to stay a resort is that they are away from the busier parts of the island.